Increase office efficiency—produce professional-quality documents consistently. Print at high speeds without sacrificing quality, and get increased energy-savings.1 Original HP toner cartridges are designed for optimal performance with HP printers. 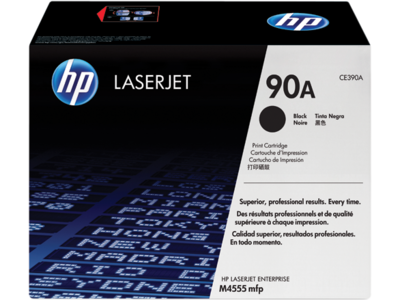 1 Energy savings based on comparing conventional toner and print system used in HP LaserJet M4345 MFP series with energy-efficient HP toner and print system used in HP LaserJet Enterprise M4555 MFP series. Testing per Energy Star Typical Electricity Consumption test. Actual savings may vary.